Looking for something a little different than the traditional Mother’s Day lunch? How about Trunch? 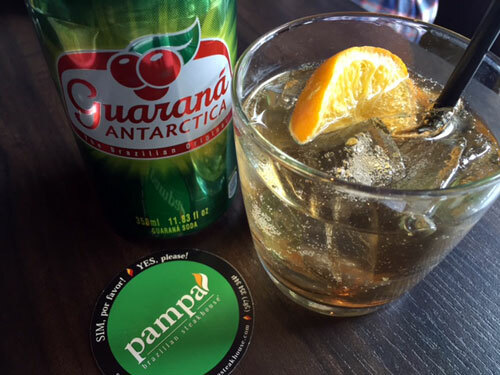 Available at Pampa Brazilian Restaurant, Trunch is the perfect blend of brunch, lunch and tea. I was invited to Pampa to check out what they were cooking up. This is no ordinary brunch! 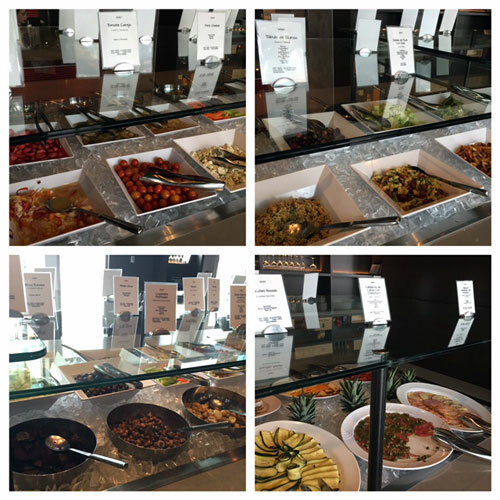 Pampa has an amazing salad bar featuring fruit and charcuterie platters, fresh house breads with jams and cheeses along with 40 salads, dressings and sauces. I loved the beef carpaccio and the fresh mint dressing was amazing. I may have used that with my meat. They also have some hot selections like french toast, brazilian crepes and eggs. 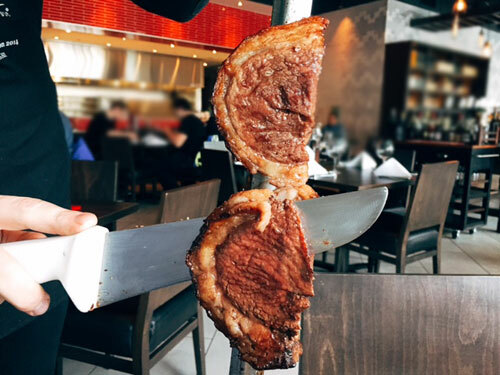 Meat is carved tableside, and you can enjoy a limitless amount. 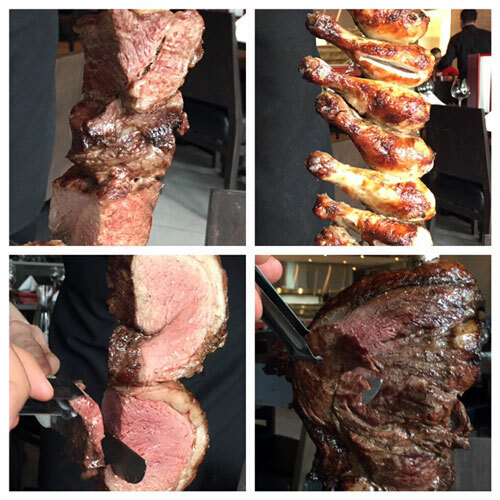 For Trunch, you can enjoy Pampa sausage, leg of lamb, chicken, marinated pork loin, barbecued pork belly and my favourite, Picanha or the rumpstake. Your delicious meal will be followed by freshly brewed House Apple tea. This is a unique experience to celebrate with the people you love. My 7 year old loved everything about Pampa, enjoying every juicy bite of meat and even eating some vegetables. Trunch is offered every Saturday and Sunday from 11 a.m. to 3 p.m. beginning with a special Mother’s Day Trunch on May 7th and 8th, which will include a surprise gift for each mom. 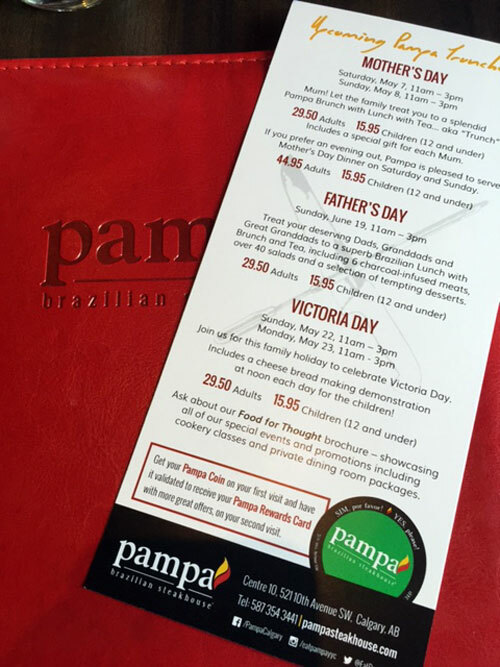 Pampa is also offering a Victoria Day Trunch on Sunday, May 22nd and on Monday, May 23rd, which will feature a unique cheese bread-making demonstration at noon. Don’t worry dads, a special Father’s Day Trunch will be served on Sunday, June 19th. Adults can enjoy Trunch for $29.50 per guest while children aged 12 and under can dine for only $15.95 per child. 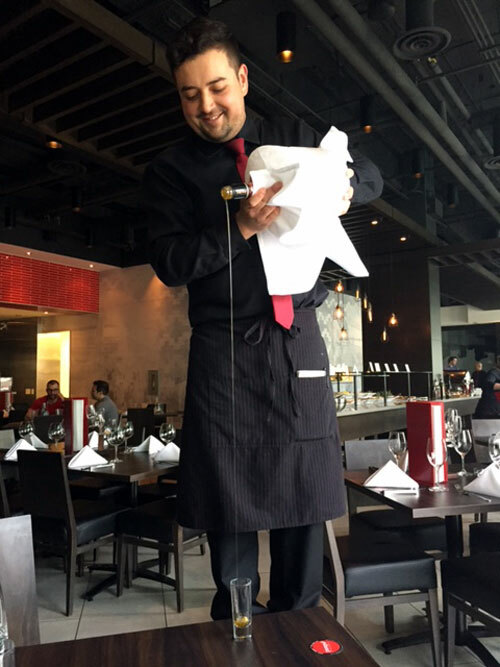 Reservations are highly recommended and can be made by calling (587) 354-3441. Cheers to all the fabulous mothers!